The Chateau de la Napoule shelters the sandy beach in the town of La Napoule on the western Cote d'Azur, Provence in France, Europe. 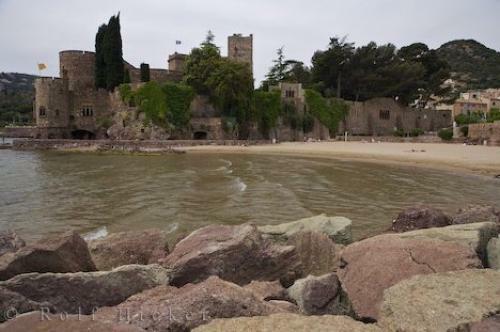 Photo of the Chateau de la Napoule beside a sandy beach on the western Cote d Azure in La Napoule, Provence in France. ... Beach in the town of La Napoule, backdropped by the Chateau de la Napoule, The Riviera, Cote d'Azur, Provence, France, Europe. I photographed this photo with the digital SLR camera model Canon EOS-1Ds Mark II, aperture of f/7.1, exposure time of 1/160 sec. on ISO 100, as always I used a original Canon Lens, the focus lenght for this picture was 24mm.